Located in the southwest of China, Chongqing is a modern metropolis with the booming economy. Because of the numerous mountains and rapid growth of business, Chongqing is boasted as "hilly city" or “small Hong Kong”. As an important city in the west of China, Chongqing attracts lots of tourists from home and abroad. 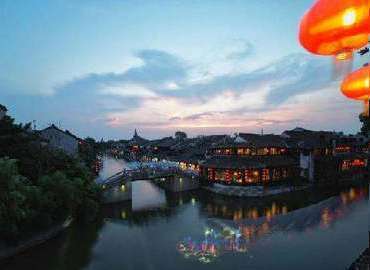 There are lots of famous attractions and historical relics such as Jiefangbei CBD Skyline, Temple of the White Emperor, Egongyan Bridge, Qutang Gorge, the Great Hall of the People, etc which are worthy of being visited. At present, with the development of the transportation, getting to Chongqing is not as difficult as before. Both flights and trains are available for travelers to get to Chongqing. What’s more, owing to the superexcellent geographical position, travelers can take a cruise tour from the downstream of Yangzhi River, then reach Chongqing. After exploring the beauty in Chongqing, you can head to the Purest Land in the World - Tibet. Nowadays, there are two main ways for travelers to get to Tibet from Chongqing. For those travelers having a tight schedule, you can take the direct flights from Chongqing to Lhasa. For those travelers hoping to enjoy the scenery along Qinghai-Tibet Railway, you can take the direct train from Chongqing to Lhasa. As a professional travel agency, we Great Tibet Tour provides varies of Chongqing Tibet tour packages, pieces of tour advice, Tibet Travel Permit application, and Chongqing Lhasa flight or train tickets booking services. Please tell us what you need, we will do the best! If you prefer to enjoy Yangtze River cruise trip in Chongqing city, it would be a good choice to continue your travel to Tibet after visiting Chongqing. The only direct train (No.Z224) from Chongqing to Lhasa departs on every other day, it takes your around 42hrs to reach Lhasa and covers 3654km. How to Get Tibet Travel Permit When Traveling to Tibet from Chongqing? First of all, you can’t apply for the Tibet Travel Permit by your own, but through a Tibet Travel Agency. With more than 14 years touring experience, Great Tibet Tour can handle Tibet Travel permit for you. After booking your tours, you need to send your photocopy of your passport and Chinese Visa. Usually, it takes 6~10 working days to get your permit. However, if you are going to some remote area like Mt.Kailash, the applying process may take up to 30 days. To make everything absolutely sure, please book your tours as earlier as possible. After getting your permit issued by Tibet Tourism Bureau, we will express it to your hotel in Chongqing, normally 3~4 days before your arrival. Please no worries about the permit delivering, we have never failed to send Tibet Travel Permit to our clients. How about the Chongqing Lhasa Train Schedule? At present, there is only one direct train connecting Chongqing with Lhasa. The overland distance between Chongqing and Lhasa is about 3030 kilometers. 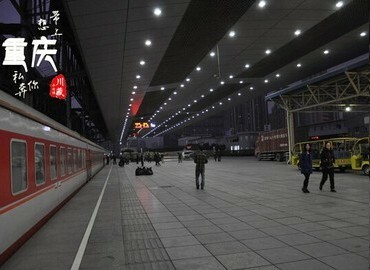 Z223 departs from Chongqing Railway Station at 22:25, and arrives in Lhasa at 09:55 on the third day. The duration is about 35:30, and it runs every other day. The price of the soft sleeper berth is about 997.5 CNY(153 USD), and the price of the hard sleeper berth is about 627.5 CNY(96 USD).As it’s a long journey, we suggest you choose soft-sleeper to stay comfortable on the train. How about taking a flight to Tibet from Chongqing? Flying to Tibet from Chongqing is very convenient. The flight duration is about 2hr 30mins. There are nine direct flights every day operated by Tibet Airlines, Sichuan Airlines, Southern Airlines, West Air, Xiamen Airlines and Air China.So there're many options for your choice.